DON’T INTERVENE: David Barrett of the Wessex Branch of the British Deer Society, told this blog that visitors to the countryside should not pick up a fawn if they come across one out on a walk. SEASONAL COATS: These Sika Deer at RSPB Arne will grow to 95cm at the shoulder if they are a stag and weigh between 40 and 70kg. They vary in colour from pale yellow/brown through to red/brown with white spots to dark grey and black in the winter. A dark-coloured dorsal stripe runs the length of the back. DEER should be not be interfered with by the public if they come across them out in the countryside, say local experts. The New Forest is home to five of the UK’s six species of deer – The Red deer; the roe deer; the Sika deer; fallow deer and the muntjac. Fallow deer in the New Forest were initially introduced by the Romans and then by William the Conqueror and subsequent kings to allow hunting parties to keep them for food and sport. They were also kept in deer parks. Existing populations stem from these original locations and can be found in white, menil, melanistic and common forms. Fallow deer are farmed for their venison in some parts of the UK but are also important in the management of some of the country’s prominent parklands. They require careful management to maintain their environmental balance and ongoing welfare. The sight of red deer grazing is one of the most enduring images of the New Forest and they are quick runners and strong jumpers and they do leap over small fences in search of food. 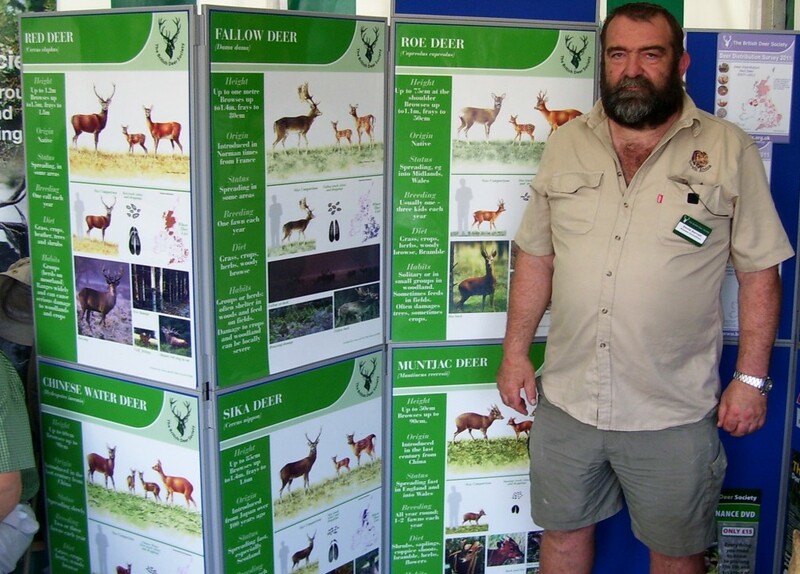 David Barrett of the Wessel branch of the British Deer Society, said: “The Reds and the Roes originate in this country. The Fallow deer were introduced by the Normans for hunting reasons and the Sika and muntjacs were introduced by the Victorians. 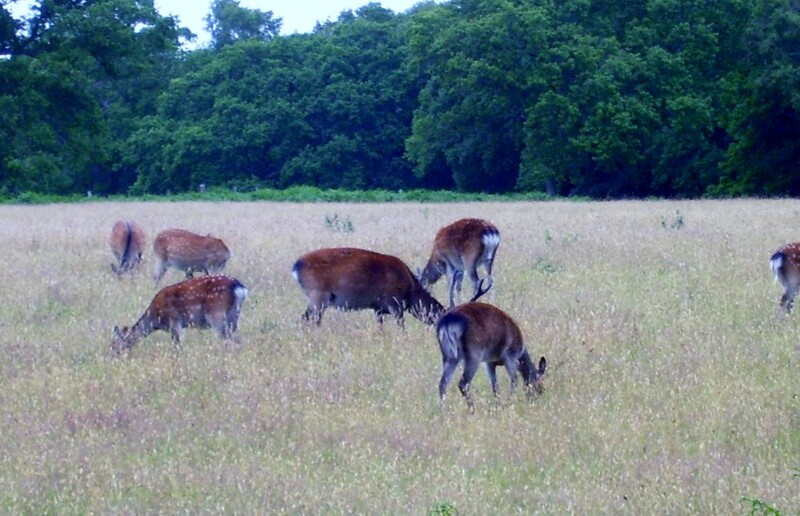 There are 120-130 red deer in the New Forest, 1,800 fallow deer and the number of roe deer is indeterminate. Muntjac numbers are growing. According to figures compiled by the AA, it is alleged that Hampshire comes out on top of 34 counties involving with 16 motorist-injured related incidents annually. The M27 between Portsmouth and Southampton is listed as an incident hot spot. Mr Barrett said: “In the country recently there were 4,000 involving motoring incidents that involved collisions with deer. The problem is the ‘warning deer signs’ are there but motorists don’t taken any notice. The British Deer Society also claims that fawns were brought in by members of the public to the RSPCA and other organisations saying they had been “abandoned”, when in fact they were being fed by the hind (mother) nearby. So if anyone visiting from Bournemouth, east Dorset or anywhere else in the Forest and comes across a deer or for that a matter a fawn, the society says any well-meaning intervention is completely inappropriate. Mr Barrett said: “There are many people who use the New Forest but there should be areas of the forest closed down in winter for conservation reasons. The New Forest is not an amusement park for human beings. We have to educate people as to what is going on there. Mr Barrett was also concerned that vegans were missing out on the vitamin B12 – found naturally in meat and fish – and had to take in a supplementary form.